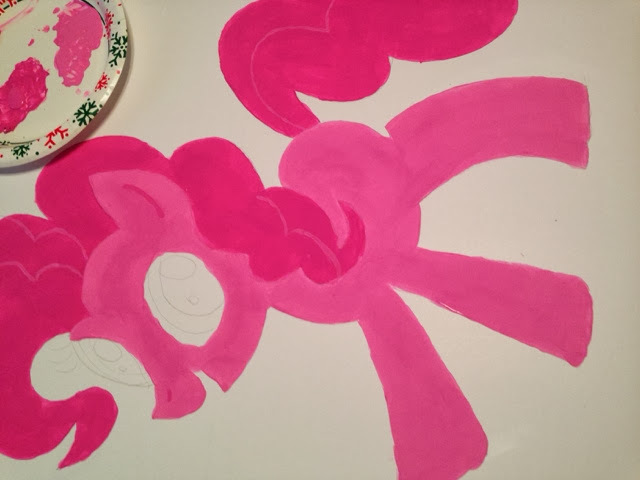 Midwest Moma Blog: Pin the Cutie mark on the Pony Game! My crew love pin the "something" games! 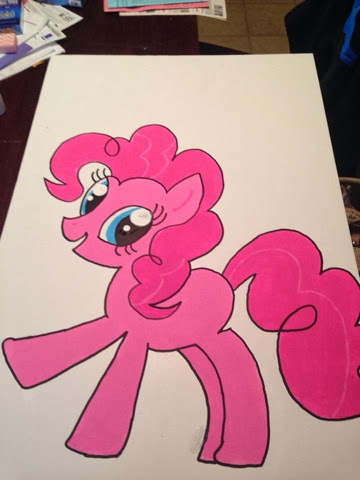 They are a huge hit no matter what the age, so far.... My daughter is having a My Little Pony Birthday party tomorrow! Here is the Pin the Cutie Mark board game we made yesterday. 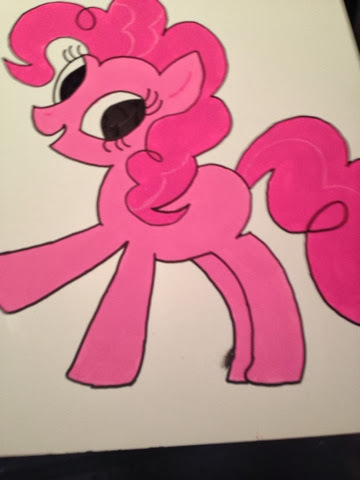 It took a little time to get the body and eyes right on Pinkie Pie, but with the help of a projector, I was able to get the job done :). Once she was penciled onto the foam board, I painted the hair first. Next I painted her body and added the accent marks in her tail, ear and nose. I used to outline all my projects by hand, but I found this nifty new tool that makes everything looked polished! 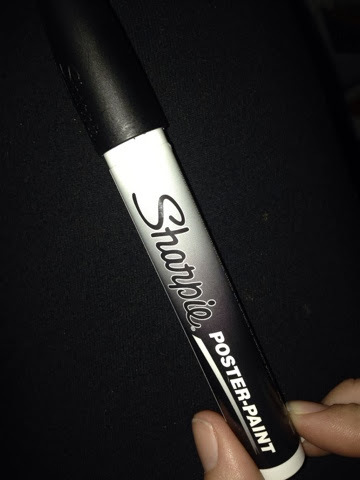 The Sharpie paint pen....I LOVE them! 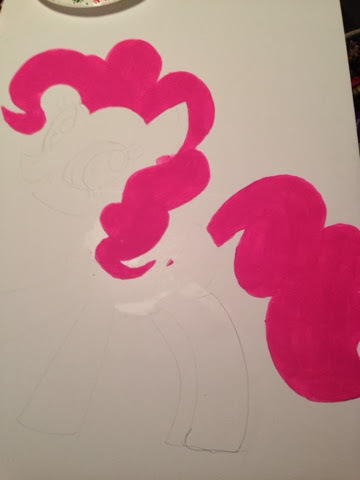 I used the paint pen to outline Pinkie Pie and draw in the blacks of her eyes. Do you see where I messed up a bit on her back legs?? Fixed that with white paint :D. I used two different sizes of round sponge brushes to paint the whites of her eyes and then finished her up by painting in the blues of her eyes. This is so far....my favorite project!! 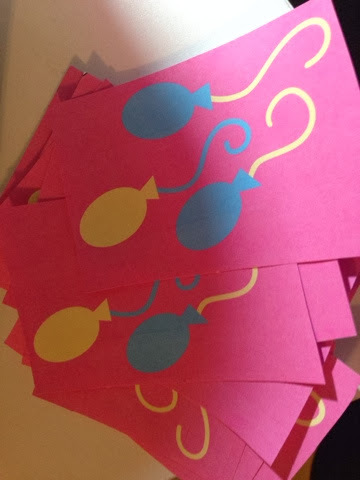 I printed the cutie marks off on the computer and can't wait to see how the kiddos do at getting them on the flank of Pinkie Pie!